October is a beautiful month — a month of leaves changing, a month of cooler breezes, a month of sweatshirt and boots. And what better to go with all of that than a glass of warm, mulled wine? So grab a blanket, a book, some mulled apple wine — maybe even a fireplace — and enjoy this glorious season of fall. At Deer Creek Winery, the wine of the month for October is our apple wine, Autumn Breeze. It is made from 100% apple juice from five different kinds of apples. No additives or grapes were put in the wine — we keep it pure apple. It is a sweet wine with the wonderful taste of fall in every sip. And the colder you make this wine, the sweeter it gets. So go freeze that wine. Just kidding — we do not recommend freezing Autumn Breeze. Unless you’d like a mess to clean up. But what about for the cooler months? That’s when you heat it up and add some spices — and you’ve got the best fall drink out there: warm spiced apple wine. At Deer Creek Winery, we like to mull the wine. This means that we stick some Autumn Breeze in a crockpot and add our Organic Mulling Spices in a bag and some water, sugar, and juice. Then we heat it up and enjoy wonderful tastes of fall. 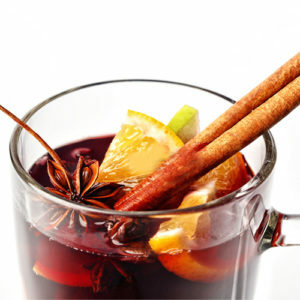 If you need instructions on how to make mulled wine, click here. We started selling this apple wine back in 2010 and it has been a favorite ever since. And I’m not really surprised. I mean, who can resist a sweet apple wine?